Writing an articles shaped Blog wallpaper does not seem to be a cultural tradition that carried on the heads of bloggers. At first I thought blog wallpaper is a new term in the blogging world, I was also initially confused with this tag line. It is said that he wrote a blog model blog wallpaper can blast the number of blog visitors to thousands. Also ever one of the discussion forums in ads.id I was read, the experience of one blogger who tells the effect of devastating write an article with blog wallpaper method. What exactly is a wallpaper blog? Walpaper in terms of language is actually derived from the English language, which translated into Indonesian means more or less the blog attached with paper. Funny, if you follow in this meaning, because the practice is not so. How to write an article but the image is replaced with a photo paper. It's an unreasonable thing and less common sense. So how to write an article with the blog wallpaper model? So the point of this wallpaper blog is a blog whose contents pinned many photos in every article writing. An intimate friend of mine once asked, why ya humans prefer to see photos or pictures on reading appeal? maybe this kind of question also flows in between your sane mind. That the human brain prefers anything with a colorful image. Because images can have a million meanings while colors will make things more alive. So quite clear, if in an article post there are photos and writings, then the human brain is inclined to see the first photo or picture on display placing existing. For those of you who rarely update to write blog articles or indeed have been lazy, there is no harm in using this blog wallpaper pattern. But behind this advantage, there is also the side losses. The idea about how to write an article with blog wallpaper mode, started in an opportunity when I was doing research to some overseas sites. There I found on one of thepioneerwoman.com sites that most of the articles are full of photographs. Viewed in terms of content of the article is not long enough, approximately 1000 words but on the sidelines of his description many inserted photos about the steps how to make a cake. Indeed, because the site owned by Ree Drumond uses niche associated with cooking, then inevitably how to write his article must include many photos in each article he wrote. Is this harmless for those using adsense ads? According to my observations not, because crawling by search engine robots is based on the number of words used in the article, as well as by examining the data structures in the article, especially in the comments section. Most importantly, when posting an article do not just fill it with many photos, but there should be a description or a little review. I have reviewed this problem in my previous article. 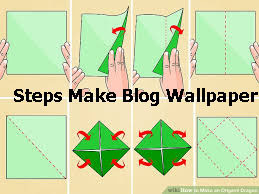 As my promise in the article, then this post I will focus the secret of writing an articles through the method of wallpaper blog. Writing an articles with the wallpaper blog method is actually very easy, because it does not demand high-finger if the skills are high plus a broad knowledge reference. Prepare your camera or smartphone with good quality, at least 3 megapixels or above. Create an article post, but first do keyword research first by using the default adwords google app. If you intend to write an article about how to make a meal, then take a photo sequence on how to make that food. But if not a food topic, do a search on google, image or photo in accordance with the contents of the article to be written. First edit the photo with the help of photo editing applications such as adobe photoshop. Upload the captured photo into the article post you want to create. Well, now your article has shaped blogwallpaper.So, quite brightly, that writing articles with the wallpaper blog model is easy. If there are questions, how many photos or images that can be embedded in an article so safe from the threat of banned google? The answer, at least 25 pieces. This I took from experience ree drumond on thepioneerwoman site. That the number of photos he embed while writing an articles on how to make the food is at most 25 pieces. Speaking about what the right topic to write an article using the blog wallpaper model, I think all the topics can. or images that will be embedded to support the construction of the reason we review in the article, whether or not it is available. If not, then this point needs a bit of your creativity to design the photo or image. Search it on search engine google by writing the keyword, not how long will appear thousands of images that you ready to edit. Back to the topic of the topic, if positioned intent using photos or images and to provide clear direction for visitors to your blog or website then the right topic to be written using this blog wallpaper model is the topic of " how to. "Why this topic is worth choosing? It can be explained by using the results of the research of Roger William Sperry a Nobel Prize winner in 1981. The function of Right Brain man is . Human expression control center. The center develops creativity. Center thinking unstructured and not detail. While the function of the Left Brain itself is. Center thinking in a sequential and systematic manner. Center for verbal speaking, linear and structured thinking. Analyze and Gradual Thinking Center. You can see, that if it is related to the language then the left human brain function tends to be stronger will work than the right. 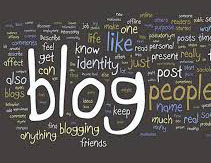 So, if we write an article with the topic "how to make" then it means we are targeting blog visitors who function the left brain is more powerful. In addition, the topic "how to create" combined with the method of wallpaper blog will lead the brain function of the left of the blog visitors are slowly working. 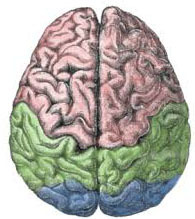 How many percent of humans use the function of both parts of the brain? As far as my knowledge, until now there has been no research results that dare to state the number of human percentage of strong right brain function or left brain. Writing an articles in the form of blog wallpaper is one way that we can take and apply to increase the number of blog visitors. This pattern relies on the power of the number of photos or images inserted in an article. How to create a wallpaper blog is just 6 simple steps. About what topic will be written in the article post, it is strongly suggested how to form. It aims to target the blog visitors whose left brain function is much stronger on the right appeal.